Your beautiful home doesn't stay that way on its own. Regular cleaning of the different areas of your home is a necessity to keep your abode looking presentable, improve air quality and promote safety. 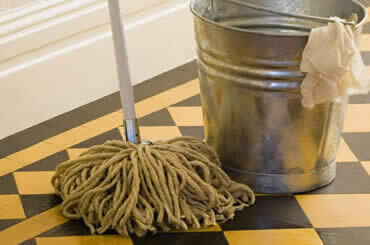 The materials used in your home will determine what cleaning methods and products you use. Whether you need to choose the right chemicals to shampoo your carpets and upholstery or the best heavy-duty cleaner for your hardwood floors, here is the information you need to help you make an informed decision. For areas of your home that need deeper attention, such as chimneys and wood-burning fireplaces, connect with the cleaning professional necessary to get the job done safely and efficiently. Whether you choose a cleaning service to help you keep your home perfect or opt for the do-it-yourself route, you'll find the shortcuts and tips that make cleaning your home easier.